Further provisional suspensions of staff may be on the cards at Transnet as auditors at the state-owned port and freight rail operator continue to comb through past internal reports, according to its acting Group CEO Tau Morwe. Morwe, speaking to Fin24 on the sidelines of the 2019 Mining Indaba in Cape Town, said Transnet was in the process of assessing 345 reports whose recommendations and findings may not have been implemented. Transnet announced on Monday that eight senior executives had been sent letters of precautionary suspension. Their names have not been made public. Morwe, who was appointed acting CEO in November 2018 after Transnet's former head Siyabonga Gama was dismissed, said it was likely that more precautionary suspension notices would be served. Transnet's audit department was being assisted by an external auditor in assessing the forensic reports. "The forensic assistant has been working with us for just under a month. This is just the beginning of dealing with the backlog," he said. "We don’t know how many recommendations for suspension will come through and we also can’t predict that. We will just have to wait for the processes to unfold." The company would give affected staff an opportunity to appeal the suspension notices. "The suspensions are not targeted at individuals as such. A forensic investigator gave Transnet outcomes and over some time, they have been piling up and were not being followed through by management. We are going back and closing off on these allegations and clearing the backlog," said Morwe. He could not say how many of the eight senior executives sent letters on Monday had provided Transnet with reasons why their precautionary suspensions should be withdrawn. In a separate matter, Morwe told Fin24 that two Transnet officials suspended in September 2018, Thamsanqa Jiyane and Lindiwe Mdletshe, have been charged and will undergo disciplinary proceedings in February. 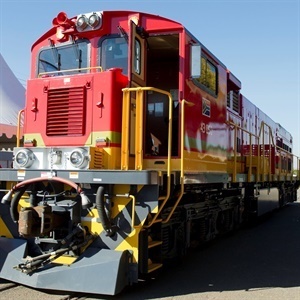 The acting CEO added that Transnet would begin negotiations to quantify the extent of the loss it suffered in the controversial procurement of the 1064 locomotive for R54bn, and discuss recovery arrangements with original equipment manufacturers.